Supply of components with fast delivery and competitive pricing conditions, local stock items with the option to customize on specific client requirement. Complete systems. Motion Control & PLC programming with complete project engineering. 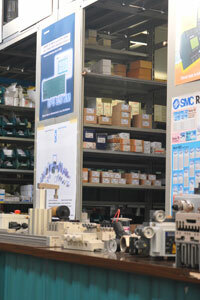 Electrical and pneumatics. Project Design and Wiring for plants and automated machinery.